Parkway Dental Clinic offers advice to its patients on how to keep their smile healthy and pretty by avoiding these five dental health habits that can ruin their smile. Many patients fail to realise that flossing daily is vital to achieving and maintaining a healthy smile and preventing bad breath. Flossing helps to remove the bacteria left behind from food particles that get stuck in between your teeth. If you are new to flossing and your gums start to bleed, there is no need to panic, in time your gums will toughen up and your dental health will be much better for it. Sometimes it can be tempting to brush straight after eating something sugary, however, brushing your teeth too soon after eating and drinking can surprisingly cause more damage because you are essentially brushing the acid into the teeth, not getting rid of it. Instead, you should rinse your mouth with water after consuming acidic foods and beverages and wait at least 30 minutes before brushing, to keep your teeth in tip top condition. Many dental experts recommend changing your toothbrush or toothbrush head every 3 months, or when the bristles start to wear. If you fail to replace your toothbrush it can collect harmful bacteria that can cause infections. Many of us are opting for whiter teeth and investing in teeth whitening treatments, however, bleaching your teeth too often can do more harm than good as this can increase tooth sensitivity and make them look unnaturally white. If you are thinking about purchasing an at-home bleaching product, talk to the team at Parkway Clinic who will advise you on the proper use of these products as well as which type of bleaching system will provide you with the best results. A hard-bristled toothbrush can damage your gums so make sure that you use a soft toothbrush and gently brush your teeth at a 45-degree angle, in a circular motion. Using a back-and-forth, sawing motion causes the gums to recede, and can expose the root of the tooth, making your teeth extremely sensitive. If you need any help or advice on the tips above call us on 01792 455 780. 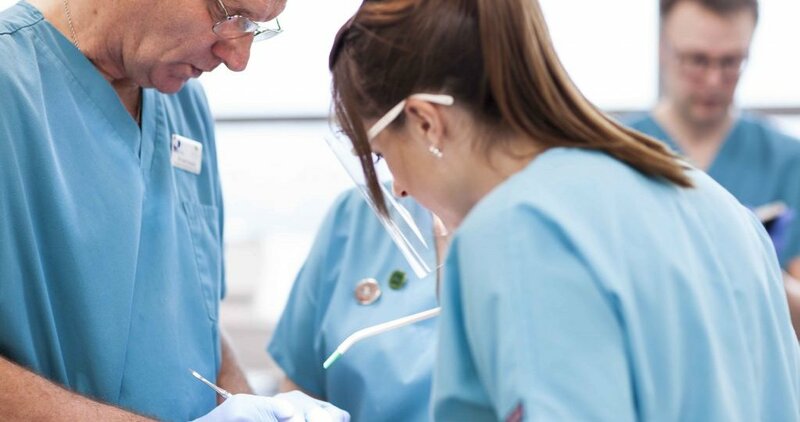 If you haven’t yet booked your next dental check-up start the New Year with a healthy smile by visiting the team at Swansea’s Parkway Clinic.